want you and all of your belongings to arrive at your new location safely, and in one piece. Here are some excellent tips for doing things the safe way with your moving truck. Packing your moving truck the wrong way is like starting off on the wrong foot. It can cause problems later while you are driving if the weight in the back of the moving truck is not properly distributed. With all of the weight in the front of the moving truck, it can make it difficult to stop. With all of the weight in the back, it can make it difficult to get the truck up to speed. So what is the best way to pack your moving truck for safety? You should distribute all of the weight in the back of the truck evenly. There is no better way to observe safety than by becoming very familiar with your moving truck. This may require 1-2 minutes, and it could take as long as an hour. The more that you know about the moving truck that you are going to be driving, the better off you will be in terms of safety. Sit down in the cab. Locate all of the controls and have a firm understanding of what they are, and what they do. There is nothing like trying to park the moving truck on a hill, and not being able to locate the parking brake. It can be even worse to hit a thunderstorm while you are driving, and not know how to turn on the windshield wipers. It also helps to know how to turn on the lights, and operate the turn signals. Your moving truck is much taller than your everyday vehicle. There may be places where it will not fit. Most people never even observe the height limitations on overpasses and bridges, but when you are driving a rental truck, you have to pay close attention to these signs or you could be in trouble. Your moving truck will require that you make wider turns as well. The moving truck is longer. If you try to make really tight turns, your moving truck will hop the curb and smash everything that is on the corner. Give yourself plenty of room when turning. Your moving truck will also have blind spots that you may have to deal with. If you plan on changing lanes, it helps to pay close attention to your mirrors. It also helps to stick your head out the window and take a look. 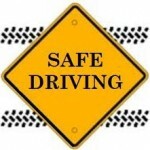 If you have a driving partner, have them look for you while you keep your eyes on the road. Keep all of these tips in mind when you are driving your moving truck.